Santa Clara is a great town to walk around. Thanks to the university here, the city has a bit of a typical college-town vibe. The heart of the city is the central Parque Vidal. The double-wide streets ringing the park are pedestrian-only and often crowded with locals and lovers strolling in leisurely circles. There’s a separate 5-block-long pedestrian-only mall (the Boulevard), a block behind the Teatro La Caridad (tel. 42/20-5548), where you’ll find a series of shops and restaurants aimed at travelers and dollar-spending Cubans. The active and ornate 19th-century theater, modeled after the Paris Opera, often features concerts and shows, and is worth a quick tour (CUC$1/US$1.10/55p) during the day; at presstime, it was closed and undergoing restoration. The biggest attraction in town is the Monumento Ernesto Che Guevara, Plaza de la Revolución Che Guevara (tel. 42/20-5878), which features a huge sculpture of the revolutionary hero, overlooking a vast plaza where massive demonstrations and music concerts are often held. Underneath the statue is a museum with exhibits detailing the life and exploits of “El Che” and a separate mausoleum holding Guevara’s remains, as well as tombstones (and some of the remains) of 37 other revolutionary fighters killed alongside Guevara in Bolivia. This place is deeply revered by most Cubans, so don’t joke or take it lightly. The monument is located on the western outskirts of the city and is open Tuesday through Sunday from 9am to 5:30pm; no cameras or video cameras are allowed. Another popular revolutionary landmark is the Monumento a la Toma del Tren Blindado (Armored Train Monument) at Carretera Camajuani and the train line. It’s a small park built around the spot where Che Guevara and his soldiers derailed an armored train during the critical battles for control of Santa Clara in 1958. In addition to the five cars and some sculptures, there’s a tiny museum in this pleasant open-air park. The museum is open Monday to Saturday from 9am to 5:30pm; admission is CUC$1(US$1.10/55p). Santa Clara has an excellent Fábrica de Tabacos at Calle Maceo 181 (tel. 42/20-2211). The factory occupies a full city block and produces high-quality Montecristo, Partagas, Romeo y Julieta, Punch, and Robaina cigars. It’s open Monday through Friday from 9 to 11am and 1 to 3pm. A 20-minute guided tour costs CUC$3 (US$3.25/£1.60) per person, but the ticket can only be bought at one of the three tour agencies in town. 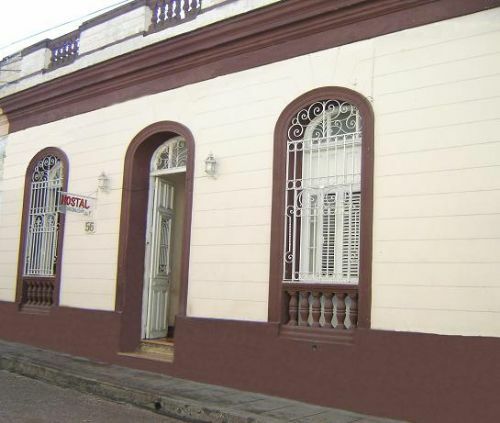 Across the street, there’s a well-stocked shop, La Casa del Tabaco, Ron y Café La Veguita, Maceo 176-A (tel. 42/20-8952). The cigar sommelier here, Marilín Morales Bauta, is quite charming and one of the premier experts in the field.